Fashion Radar: The Hottest Trends of the Season? Bohemian fashion is carefree, vivacious, close to nature and very sublime in its romantic femininity. Shall we feast our eyes on the hottest bohemian fashion trends to flaunt this season? Kimonos are always at the centre of all bohemian trends, and we advise you to pick out exotic floral prints, paisleys, animal prints and all other artistic ventures that take your wardrobe closer to nature. You can throw these beauties atop your knitted tops and fringed shorts, or a strapless maxi dress perhaps. 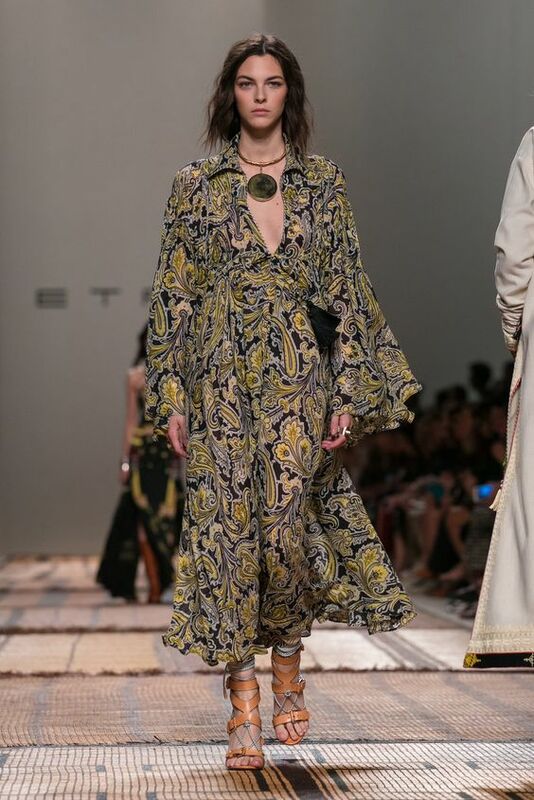 Flimsy and billowy bell-shaped sleeves have created quite the fashion frenzy on the bohemian fashion radar, and we see these beauties paired up with a wide array of delightfully colourful Boho prints. Short cropped leather jackets, blazers, waistcoats and military-style outwear has been paired up with long floor-grazing maxi skirts with fitted bodices and wide skirts, and the effect is glamorously bohemian and utterly voguish. 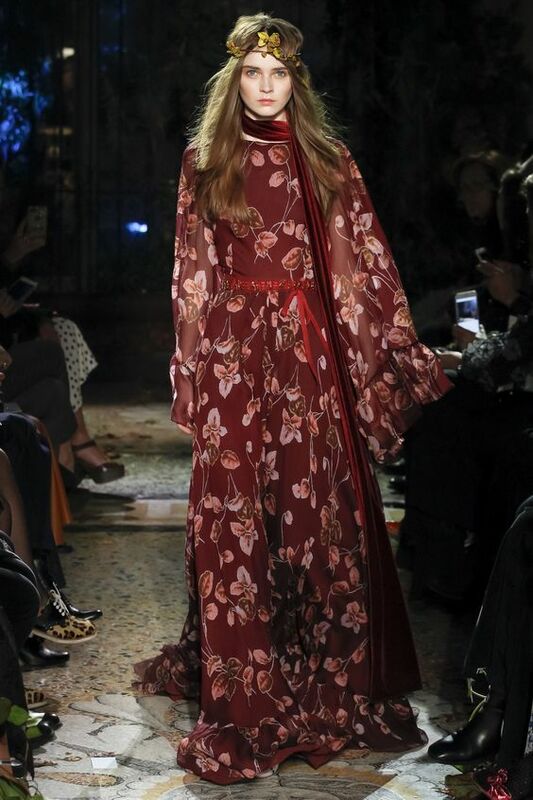 We adored the looks put forward by Etro, Missoni, Elie Saab and Valentino. 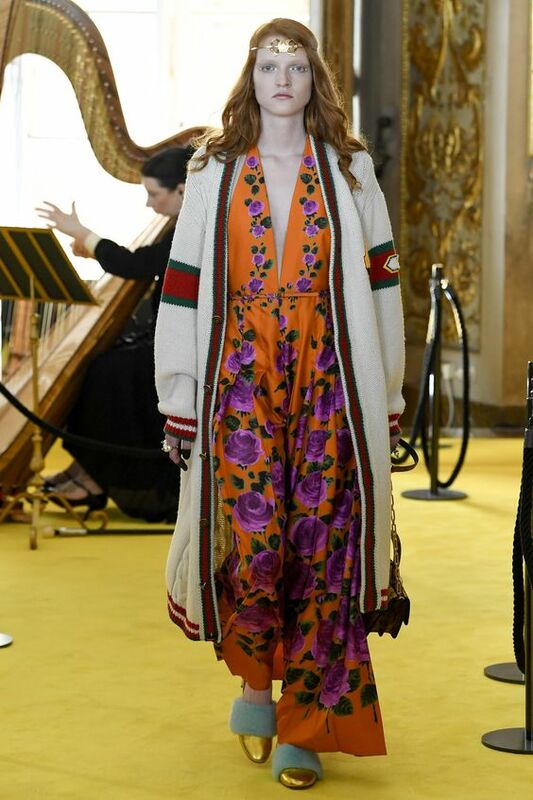 You need to not make any fashion investments to rock this trend, just start pairing up your embroidered jackets with your maxi dresses and you can amplify your glam without spending a single penny! Tassels have caused quite the glamour explosion and they have emerged as the hottest Boho trend to flaunt this year. From handbags and shoes to jewellery items and black tie gowns, tassels are everywhere and we bohemian goddesses must flaunt this intensely exotic trend with a bold aplomb and serious abundance. A bohemian femme is a passionate nature lover, and she must brim up her wardrobe with an endless abundant of artsy and gorgeous floral print. From her black tie and formal wear, to casuals and contemporary street style, floral maxi dresses, skirts, rompers, jumpsuits, sheaths-basically all floral staples are a huge part of her wardrobe. This season, Etro, Valentino, Tom Ford, Roberto Cavalli, Chloe and Celine have showcased a delightful variety of floral prints, and we can’t help but fall madly in love with their bright colour combinations. Fringed accessories and clothing staples are trending super-hot, and bohemian or not, all women must indulge their style sense with this intensely voguish ‘80s inspired trend. Fringes are being added to handbags, jewellery items, soles and heels, outwear staples, sleeves, hemlines, necklines-basically anywhere and everywhere. So, be sure to stock up these beauties, and of course, you mustn’t deny your curves the voguish charm of flaunting a dramatically fringed bathing suit! Seal the look with an exotic ethnic choker, gypsy belts, Boho bracelets, Nature-inspired Earrings, Feather Earrings, funky pedants and all your other bohemian indulgences.